The Baphomet 4 with neck through body … glued 5 fold! A true premium bass! For over a decade FAME has offered the Baphomet models with an astonishing price/performance ratio. With the current Bass, Fame has shifted to another gear, and we are presented with the most beautiful, perfect and thoughtfully designed instrument of the Baphomet series to date. 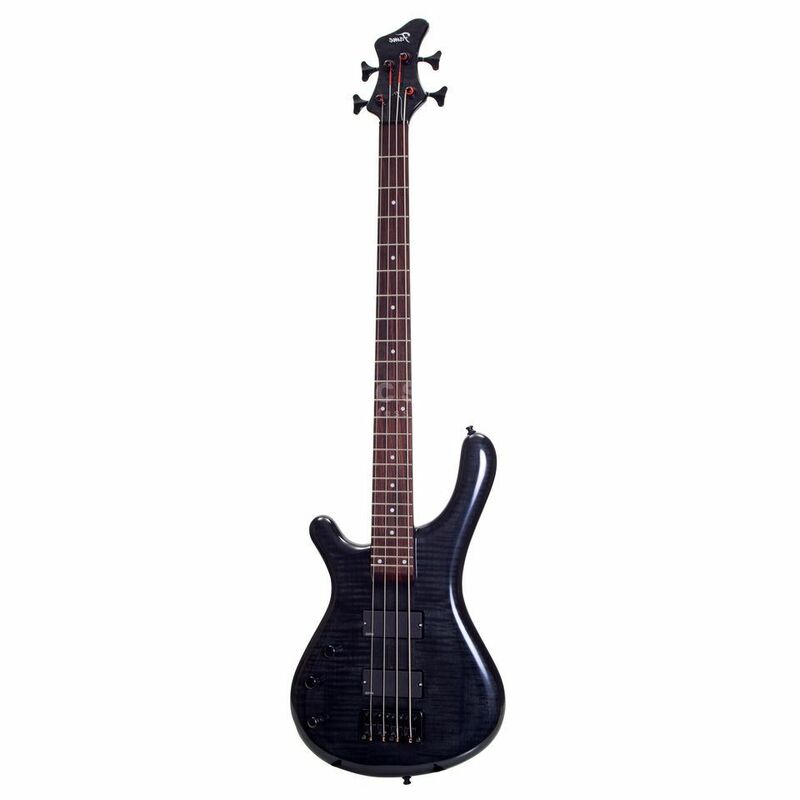 This Bass offers through the combination of hard wood sound, EMG humbuckers and the concretely packed active EQ a colorful, seemingly never-ending sound pallet, providing a suitable solution for every musical application and style. Power, growl, shout, brilliance and precision – the Baphomet delivers every thing that a bassist expects from a modern instrument.